Out of the four theme parks that can be found at the Walt Disney World Resort, Epcot is the one that has the least number of “thrill rides,” due in part to the park’s emphasis on attractions that educate. In fact, Epcot doesn’t even have a traditional roller coaster, although an upcoming Guardians of the Galaxy attraction is set to change that fact very soon. 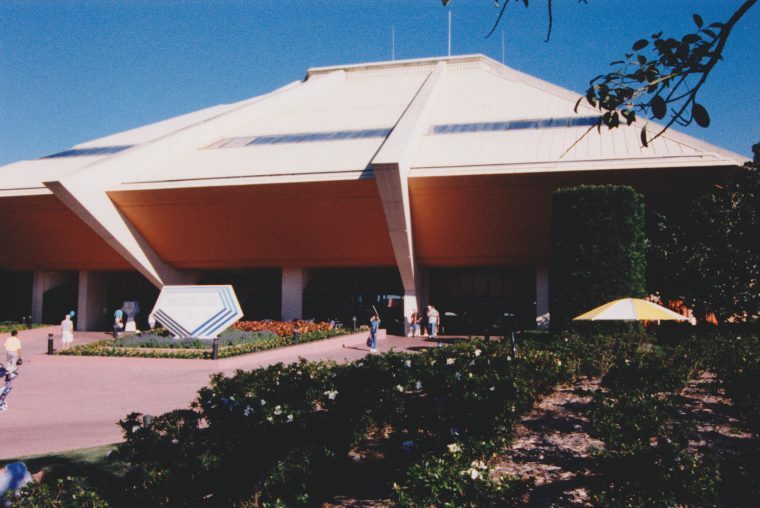 As it currently stands, Epcot only has two attractions that are classified as “thrill rides.” The first of these is Mission: Space, a simulator ride that lets guests experience conditions that astronauts are exposed to during their interstellar journeys. The second of these attractions is Test Track. Sponsored by Chevrolet, Test Track places riders in a car that is undergoing a rigorous set of vehicular tests. 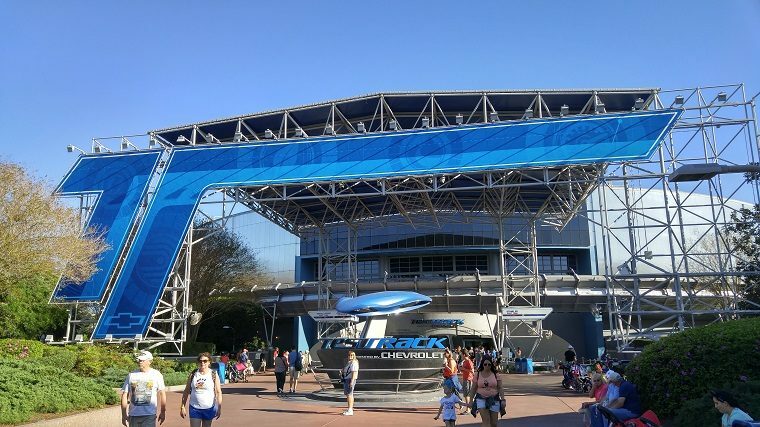 Test Track is currently one of Epcot’s most popular attractions, with wait times that are only matched by Soarin’ or Frozen Ever After. What many guests might not realize is that Test Track was preceded by another attraction that highlighted transportation: World of Motion. Like Test Track, World of Motion was also sponsored by General Motors. The story of why Disney and GM decided to replace their initial attraction with a more thrilling alternative is one that involves the history of Epcot itself. In its earliest form, Epcot was never meant to be a theme park at all. Instead, Walt Disney had envisioned the “Experimental Prototype Community of Tomorrow” as a full-functioning city, complete with schools, rec centers, and residential neighborhoods. Unfortunately, Disney passed away before his Utopian city ever came to fruition. Due to the large cost involved in creating and running a city, the company Walt left behind decided to shelve the project. However, when the Walt Disney Company decided it was time to add a second park to the Walt Disney World Resort, they looked to Walt’s city concept for inspiration. As a result, the company decided to create Epcot, a theme park that would both entertain and educate. 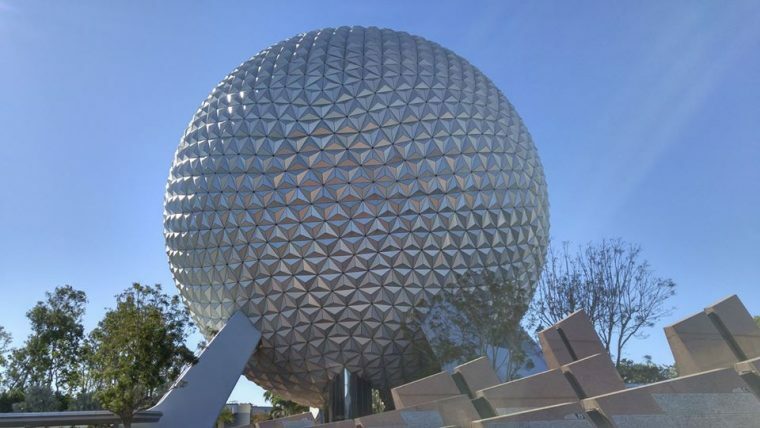 You can have a “ball” at Epcot! At first, the Imagineers at Disney were split on whether the park would focus on technologies of tomorrow or different cultures found throughout the world. 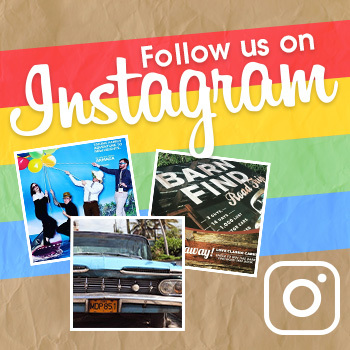 In the end, the two concepts were merged, resulting in a year-round World’s Fair. 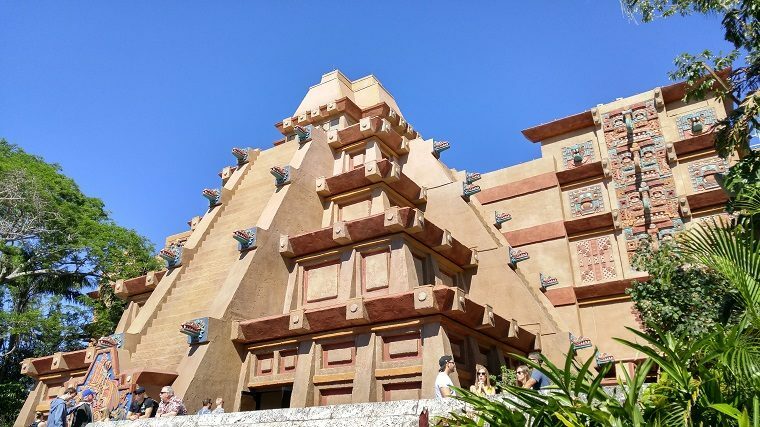 The World Showcase section of Epcot would be home to nine separate pavilions for nine separate countries: Mexico, Canada, China, Japan, the United Kingdom, France, Italy, Germany, and the host pavilion, the American Adventure. Since then, two more pavilions have been added: Norway and Morocco. The other section of the park was named Future World. Its attractions would showcase technologies of the past and the future, and each attraction was sponsored by a different company or organization. 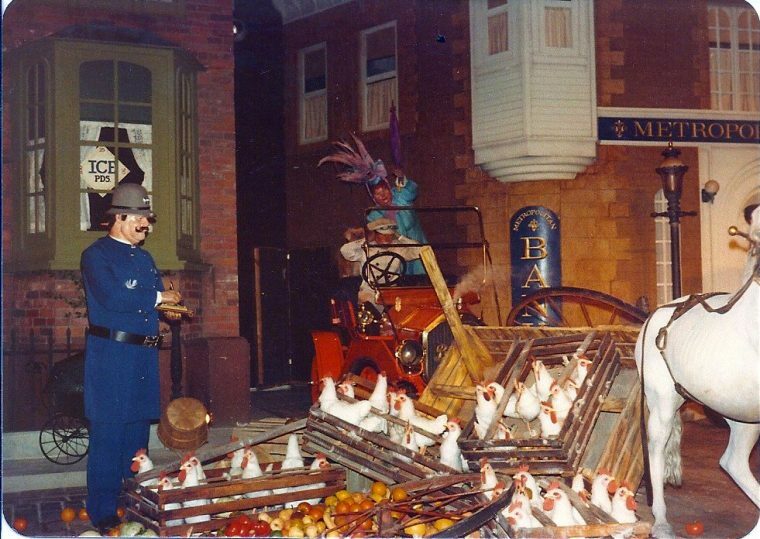 One of Future World’s opening day attractions was none other than the World of Motion. Examining the history of transportation, World of Motion had a very appropriate sponsor: General Motors. The attraction was designed by Imagineer Mark David, famous for his work on Disney attractions like Pirates of the Caribbean and the Haunted Mansion, and legendary Disney animator Ward Kimball, who helped bring to life a wide range of the company’s most iconic characters, from Jiminy Cricket to the Cheshire Cat. Kimball worked his unique style of humor into the attraction’s displays. Such scenes included the world’s first traffic jam and a dealership lot for animals like camels and zebras. One of Walt Disney World’s many omnimover attractions, World of Motion began by slowly transporting riders past scenes showcasing humanity’s developments in transportation. After a minute-long journey through a psychedelic tunnel, guests were then taken to CenterCore, the city of the future, which was undoubtedly inspired by Walt’s original vision for Epcot. After exiting the ride, guests could then enter TransCenter. This exhibit was home to several hands-on experiences that showcased what the engineers at GM were up to in terms of future transpiration. 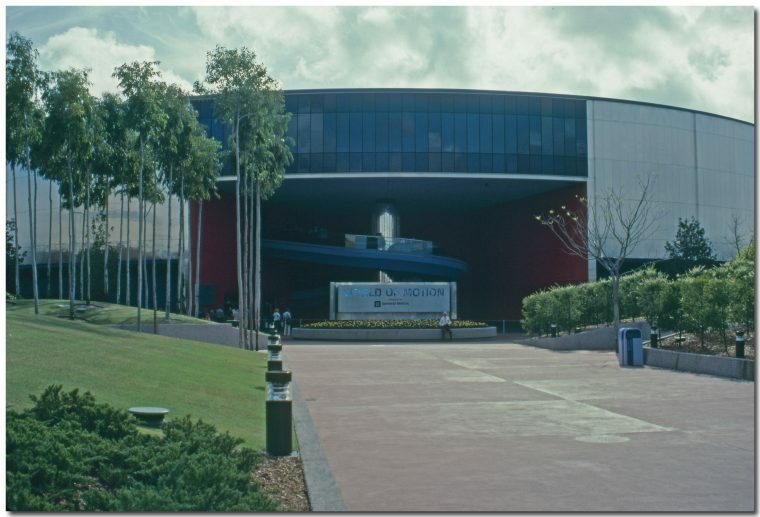 GM initially signed up for a 10-year sponsorship of the attraction, which served as a first-day attraction when Epcot opened on October 1, 1982 . However, a downturn in the economy convinced the automaker to continue sponsorship for the ride in 1-year increments beginning in 1992. Around the same time, Imagineers began formulating ideas to replace World of Motion with a thrilling automotive attraction, an idea that GM’s executives were also on board with. Thus, on January 2, 1996, World of Motion officially ceased operations, with a new attraction slated to open 19 months later: Test Track. Unfortunately for both Disney and GM, Test Track’s opening date would be delayed several times during the construction process. Instead of opening in 1997 as originally planned, the attraction would not officially open until March of 1999. This production delay convinced Disney to reopen one of its other Epcot attractions: Horizons. 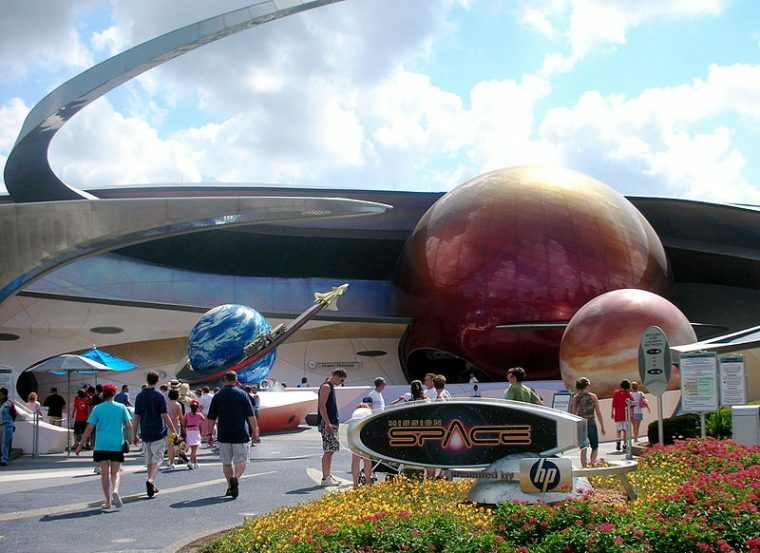 Eventually, Horizons was closed once again in 1999, soon to be replaced with Epcot’s other thrill ride: Mission: Space. 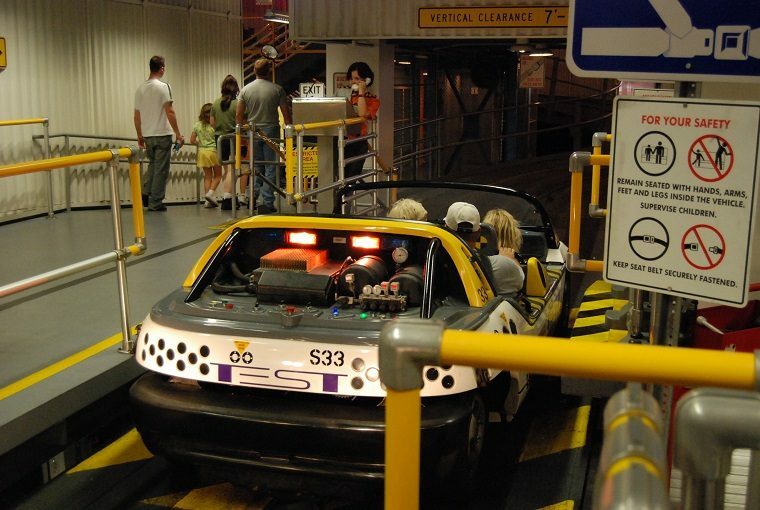 During the Test Track attraction, guests would be placed in a “test vehicle” at one of GM’s testing facilities. The purpose of the attraction was to let riders experience the numerous tests that a GM vehicle had to undergo during the inspection process. To get a good idea of what a vehicle testing facility was actually like, the Imagineering team at Disney actually took several trips to some of these facilities, including the Milford Proving Grounds. The Imagineering team also worked hand-in-hand with some of the engineers at GM to make the experience as authentic as possible. Even the ride vehicles were created to resemble some of GM’s latest vehicle models. Said vehicles sat three riders across in two separate rows, for a total of six passengers per car. “Testing” during the ride itself involved sudden braking and exposure to hot and cold climates. The attraction even highlighted certain vehicle safety features, such as the anti-lock braking system. Right before guests hit a wall during the final barrier test, the wall would split open, sending riders racing outside at speeds reaching 64.9 mph. That made it the fastest Disney World ride ever created, a record that it still holds to this day. After the ride, guests could explore GM’s “The Assembly Experience.” This exhibit helped guests visualize what it was like to be on the floor of an automotive assembly plant. Although the ride didn’t officially open until March 17, 1999, it did experience several soft openings during December of 1998. During this time, Disney realized that the attraction didn’t have the most efficient loading process. To address this challenge, Disney introduced one of the first single rider lines for any of their attractions. Other Disney attractions that would later adopt this loading strategy included Expedition Everest and Rock ‘n’ Roller Coaster. 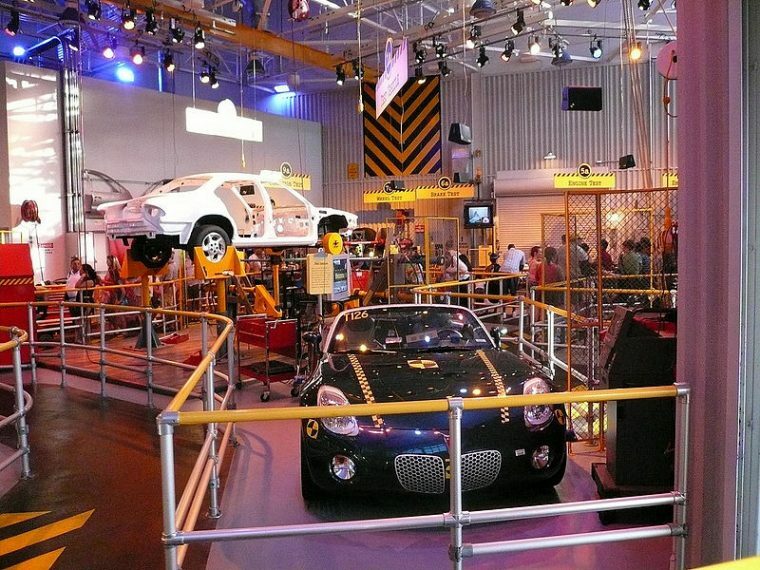 Test Track proved to be one of Epcot’s most popular attractions. 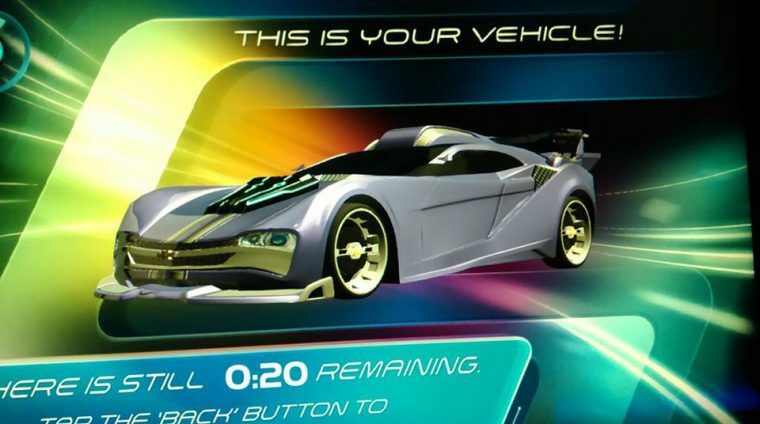 Still, when GM decided to limit its sponsorship of Test Track to just its Chevrolet brand following the recession of the late 2000s, Disney decided to introduce a new version of the ride. Before riders boarded the new re-skinned “SimCar” vehicles, they would first be able to design a vehicle of their very own. During the attraction, the customized vehicle concepts would be graded in four key areas: capability, efficiency, responsiveness, and power. Seated in one of the SimCars, guests would be taken through twists and turns during tests for the vehicle’s capability, efficiency, and responsiveness. The final “power” test would send riders through the final course of the attraction at the same 64.9-mph speed that they experienced in the original attraction. “The Assembly Experience” was also replaced during the ride’s renovation. 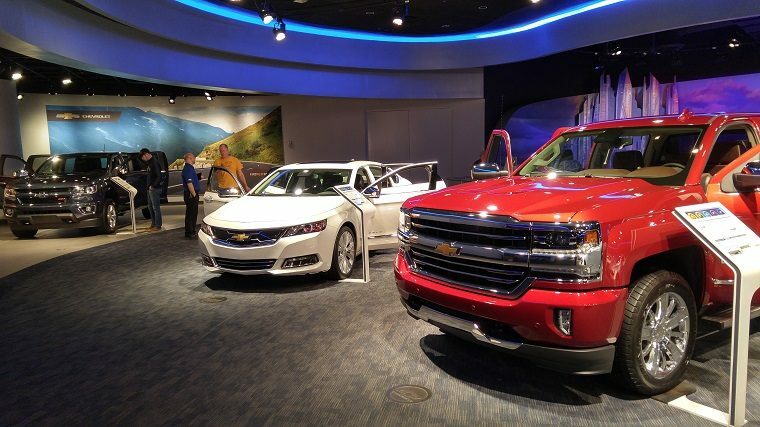 Instead, guests could examine how their concept vehicle performed during the various tests, as well as examine actual Chevrolet vehicles on a showroom floor. 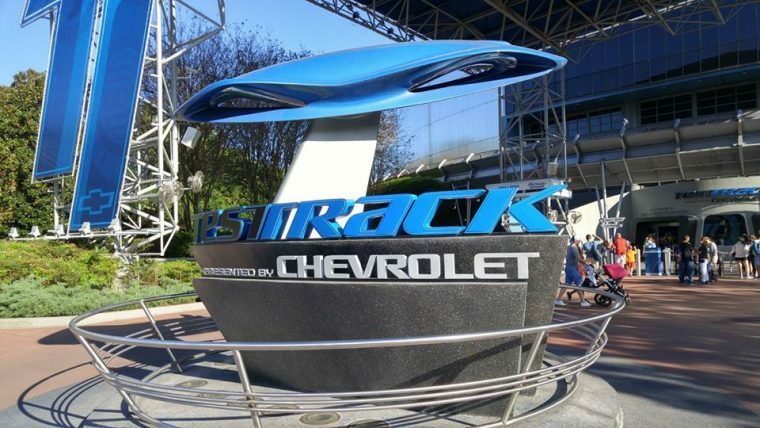 The original Test Track was shut down on April 15, 2012. By the beginning of December later that year, the new Test Track was officially up and running. World of Motion and its successor Test Track are undoubtedly very different rides. One was a relaxing examination of the history of human transportation, while the other still stands as Walt Disney World’s fastest attraction. Yet, both illustrate how transportation plays a large role in our lives today, as well as offer a look into how it might affect our lives in the future. At their core, both World of Motion and Test Track have the same message: it’s fun to be free.